View MBOX Files With their attachments. 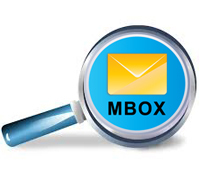 MBOX files or Mailbox file format is a known name in the domain of email client files. thunderbird mbox owe this popularity to the fact that they are supported in several email clients. The other reason which plays an equally important role in its popularity is its structure. The messages stored in a MBOX get stored in plain text format. As we know that text processing tools can easily access plain text files, therefore these tools can be easily used on MBOX files. Tool to view Multiple MBOX files as well as view their attachments. Do not need any Email client installation for viewing MBOX file. 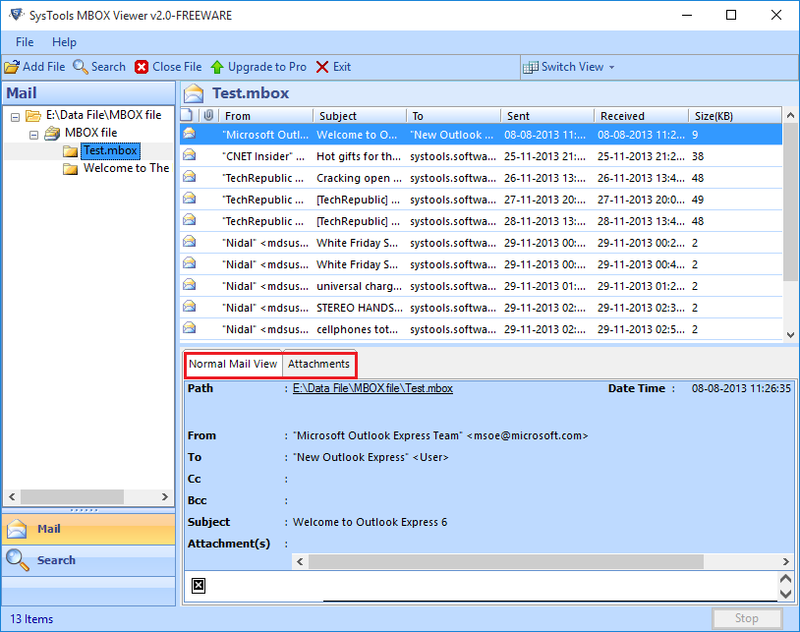 Export Email and whole MBOX with attachment into PDF file formats. The Software generates a preview of MBOX emails. Search option for searching Emails and attachments within thunderbird mbox. Trial Version can add file and display preview of file & their attachment. The count of email clients which deploy thunderbird mbox as their default file format is very high. The clients which have MBOX file as their default file include Thunderbird, Eudora, Pocomail, Entourage and many more. The MBOX files can be easily accessed by a number of email clients, but the problem arises when the user does not have access to the supporting email client. This can happen in the case a user has received an old MBOX and is not familiar with the email client to which it belongs. Also there are times, when the user is accessing the MBOX file in a machine which does not have the concerned email client installed in it. Therefore in such cases, third party applications are deployed as a last resort in order to view the MBOX files. 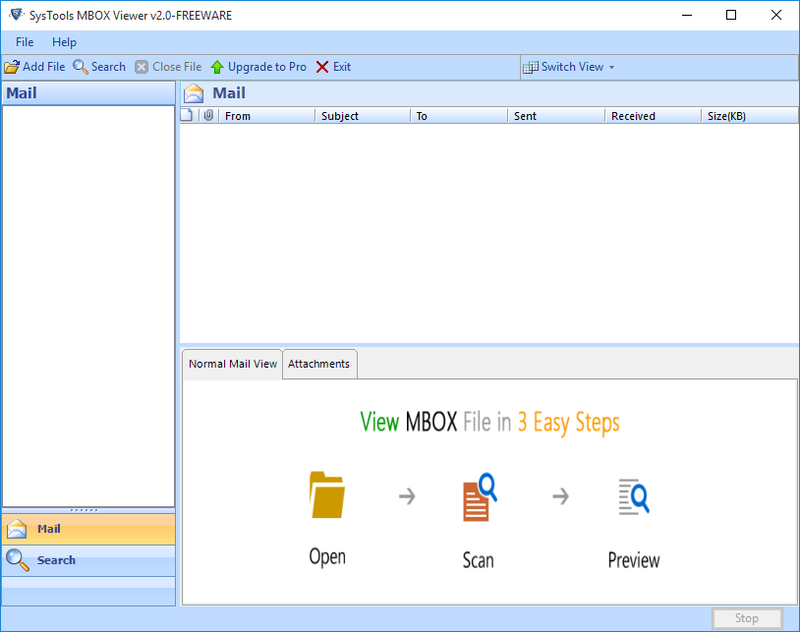 If you need to mbox viewer online in the absence of a MBOX supporting email client, then you can deploy MBOX Viewer Freeware in order to do the same. 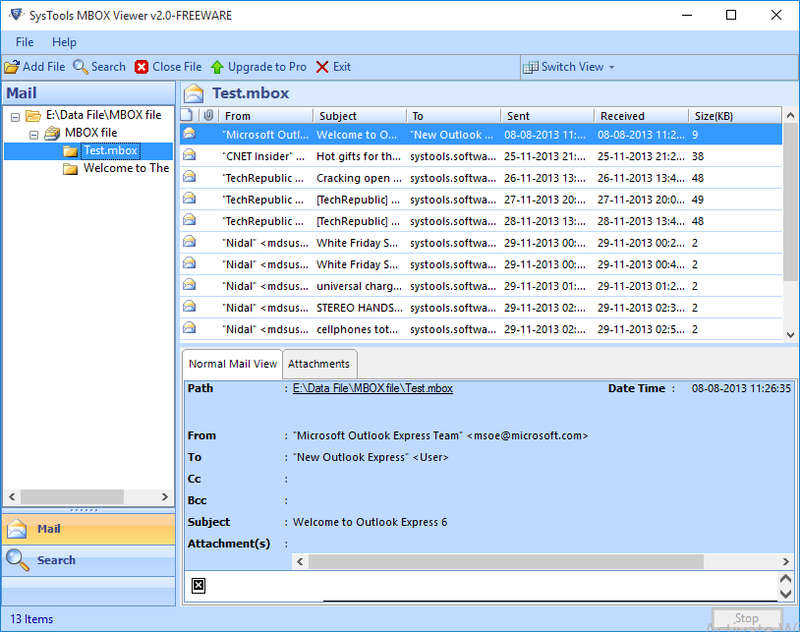 The software enables the user to open mbox file in outlook without email client dependency. It generates preview of emails with all the embedded attachments in an instant. The software loads all the emails in the MBOX file and also displays the item count in each folder. The greatest advantage of this tool is that it is available for free. There are no hidden charges and the user does not need to pay any charges even afterwards. I am using Netscape email client can I view MBOX file with this tool? Yes, Tool view MBOX file and Netscape also used MBOX extension. Can I open a large MBOX with the help of this tool? Yes, you can easily open and view the large MBOX. Can I run this software on my windows (8.1) Machine? The Tool originally designed for Windows users, so tool easily runs on Windows 8.1 and all lower versions.